A Language Law for Dogs in Montreal? 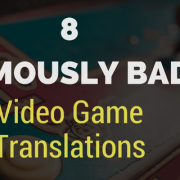 The point is that most games will NEVER be translated into French due to misconceptions about the cost and difficulty. 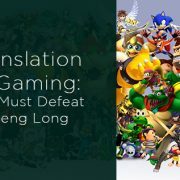 I agree offering the game in another language is a GREAT idea!!!!! but from what I understand from the article in the Toronto Star games will only be available in French… sorry if I have got this wrong. My main point was game stores are struggling it is hard to keep up with the internet giants such as Amazon and this will just make things harder. Entertainment should of course be available in your first language but if you are a true gamer you will buy the game in English a good year before the translated version comes out…. If an individual are having immigration issues in that case it is actually best to phone an immigration lawyer that is definitely competent in order to answer your doubts. We would likely advise against finding legal advice on the net, because this can mean that a person end up getting taken from the country if your guidance obtained ended up being harmful.